Click here to download Carla's (7/02), Jennifer's (4/03), Cindy's (10/03) , Jennifer's (4/04), Megan's (4/05), Lindsay's (9/05), Victoria's (9/07), Holly's (4/08), Katie's (10/08) story as published in Premier Bride. "I LOVE the wedding pictures! I wanted to let you know how wonderful the wedding pictures are. I was worried that with such a small wedding - only 12 guests! !- that it would be difficult for you to get good shots. You amazed me. As I looked through the pictures to try to figure out what ones to order, I was brought back to that day. You helped capture the magic of my wedding day and I really appreciate it! Thanks again,"
"Dan  I don’t know if I ever shot you an email to say how great those pictures are!!! Thanks so much again and there are so many great pictures, I had a hard time narrowing them all down. You surpassed our expectations in every way and the client was extremely pleased as well. Great job of capturing exactly the look we were going for…you are the man!!!" "Hi Dan, Just wanted to drop you a quick note to say thank you for our beautiful wedding album! Everyone that's seen it has commented on how wonderful the photos are and how they feel like they're "reading" the story of our wedding day! We couldn't be more pleased! Thank you so much for capturing our day so wonderfully!" "Dan, You and Dean are truly talented! Not only did you capture the look of our wedding but the atmosphere and the emotions of the moment. Thank you for all the beautiful pictures." Vendor Review: "Dan Harris, photographer: Exceptional! I just don't think there is a more talented photographer in the area." "Dan, the photos are BEAUTIFUL!!! Thanks so much for everything you did - the photos are the most important because they are what you have left to remember your big day by so I had really high standards and you exceeded them!" 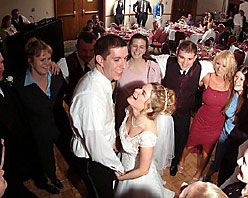 "Thanks so much again for the great job you did in shooting Laura and Jeff's wedding! You really listened to what we wanted from our photographer, because I never once saw you posing people or asking them to "redo" or "hold" something. You captured the event, rather than the photography being the event...that was perfect! Thank you again for the fabulous photographs. Your demeanor and style were exactly what we were looking for." "These pictures are just so wonderful! Thanks again for everything. Everyone has commented on how well the pictures turned out - a testament to your and Dean's skill. My two aunts are both artists and can't stop raving about the pictures!" "Hi Dan, All we can say is WOW! You did such a beautiful job on all of the pictures! I can't thank you enough. I felt like I relived the entire event just going through the pictures. You captured every moment beautifully!! Thank you so very much!" Vendor Review: "Photographer - Dan Harris PhotoArt - After seeing Dan's work there is not another photographer in North Florida that I could recommend. Dan captured so many priceless moments from my wedding and reception. I knew I picked the right photographer when my MIL came to me and was asking questions about him and how I found him. Most guests don't notice the photographer, the number one comment I received on Dan and his assistant was that they were REAL professionals. Dan was stealth all night, I can't even figure out how he got as many pictures as he did!" "Thanks so much for the AMAZING job with the photos! They turned out so well. We are very happy with them . . . Thanks again,"
"Hi Dan, The photos turned out great! I can't believe how many you took . . . I am so completely happy & can't wait to get them into an album . . . Again, I was so thrilled the first time I saw the slideshow, and every time I go back to the website I am reminded of what an incredible day it was. You truly did an amazing job. Thank you!" "Dan, Thank you so much for everything. We looked at the pictures online today and were amazed at how wonderful they are. It seems like you were everywhere, photographing everything at the same time, yet still you were invisible. We are all very impressed. We received your email this evening and wanted to thank you for the hard work at the wedding and reception. 1077 photos! Wow! ...That is really above and beyond. ...thanks for making this whole experience memorable and "rememberable". You're the best! Thanks,"
We did not have a videographer, and we used that extra money in photography, and I could not be happier that we made that choice. Dan did a great job and I love my pictures. He was a ghost throughout the entire ceremony and reception  I didn’t even notice that he was there. We had “tested” him with our engagement photos, and they turned out wonderfully, so we felt pretty confident going into the wedding that things were going to be OK. 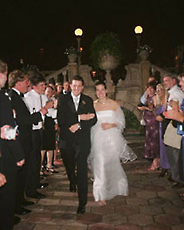 I was so excited when I got back from my honeymoon to see all of our pictures on-line, and that we could share them with our family and friends." "Dan, The photos are beyond words to describe how you and Dean captured one of the most important events in our lives. Thank you from all of us... Your professionalism is exceptional." "Dan, These pictures are some of the best I have ever seen! Great work! I may need you to travel to Atlanta to do another wedding...Thank you! And, again, great work!" To prospective brides: "I can't tell you how much I agonized over the photographer decision. I want to let you know that thankfully I made a great decision by going with Dan Harris. If you want great photos, with a relaxed, professional photographer I'd recommend Dan Harris. Go to www.GetRealPhotography.com to see some of his work. If you click on "anticipation" on the site and look at photo #8, that is one from my wedding (me reading a card with my two flower girls looking up at me). Dan was really cool to work with--I don't suggest you book him based on this post, but I do recommend you go meet him and see if you click. I thought he was great! I am in PR and have worked with a lot of photographers and can say Dan really did impress me!" "Dan, I want to let you know the photographs are wonderful--you were wonderful! The shots are everything I imagined they would be! I love how the entire day is documented. I just love clicking through my photos--I have no idea how I am going to narrow these down for the album! :- ) Thanks for everything!" I really don't know how to thank you. You made the experience fun for both of us and we felt so comfortable like we had known you for years. Let me know if you need any recommendation letters or whatever you need we will do. I really couldn't be happier thank you so much again for everything." "Dan, The pictures are amazing! I am having a very hard time concentrating at work! :) I'm so glad we found you! The pictures are so artistic and are just what I wanted! I've definately already picked a few of my favorites!! I'll work on going through them to see how many of the 1022 I can't live without!! Thank you so much!" "Dan- I will spread your praises far & wide!! You have a gift and we thank you SO MUCH for your beautiful pictures!" "Dan, I am blown away by all the photos and Josh and I are SO GRATEFUL to you for capturing our wedding so beautifully!! ...Once again, thank you so much for you and your assistants work - the pictures are absolutely perfect and REAL!! I love them!!" "Dan, Thank you so much for such beautiful photos! We enjoyed having you document our wedding for us. The pictures truly captured every emotion and the uniqueness of 'us.' : )"
"I just got married on 12-30-04 and my vendors were great. He was like a ghost during my wedding. I never felt pressured by him or his assistant. His style is more photojournalistic with lots of B&W pictures. He is one of the best in Jacksonville." "I've now looked at the website for the 10th time, and the photos keep getting better and better! Dan, you truly captured the mood of the day, and I am delighted. My gut feeling is #473 for the enlargement - every time I look at it, it becomes a little more beautiful, almost like something I would expect to see in an ad in a Bride's Magazine. What a beautiful, romantic portrayal of the wedding. My other favorite is of Emily alone in black and white with her bouquet in color. It is gorgeous ...the beach photos are priceless. I can't say enough, nor can I thank you enough for your wonderful work." "Hey Dan, John and I wanted to let you know how impressed we were with your work. When we got the pictures, we were so amazed at what an amazing job you did. I am speechless!!! You and your assistant did such a GREAT job!!!! We love you! Everyone who visited the site said we made such a good decision in hiring you. Thank you so much for everything. I wouldn't hesitate any to hire you again or to recommend you to anyone who will listen! ...Thank you again. We are so grateful that you were able to help us out on such short notice. Thanks!! :)"
"I just wanted you to know that we absolutely love our pictures. We have emailed the website to a lot of people, and they all have nothing but fantastic compliments about your work. We were very disappointed with our video and were upset, and the next day we saw our photos online..and we don't even care about the video any more...we are so excited about all of the great pictures. Thanks again, and if you need us for any reference info..please feel free." "Dan, Yippee!!!! The photos are beautiful! You captured the elegance of the event and were so unintrusive -- you made the entire experience easy and fun. I am very happy with the results -- especially the variety of styles you used. It will make for a very creative and gorgeous album. Thank you for the fabulous job and for being the BEST PHOTOGRAPHER EVER!!!" "Hi Dan, Tim and I had a ball looking at these marvelous photos. Where did you hide during the ceremony? We were barely aware of your presence. You did a wonderful job capturing all phases of a beautiful event." "Thanks soooooo much for your services at our wedding. You and your assistant were truly professional and a pleasure to have at our wedding. If you should ever need a reference, please feel free to add us to what I'm sure is a long list of positive references." "Even though it is a year late, we wanted you to know that you were so awesome and we were so happy with your services. We had so many compliments from our guests that you were an absolute gem." "Dan, You are AMAZING!!!!! Every shot is better than the next. Obviously, we are still going through all the photos, it will take awhile! We just can't get over the pictures, they are absolutely incredible. I am going to write to Bertha Brown, the lady who made the cake, and refer her to the website. Some of the pictures just showcased her talent so well. Again, thank you. ...Your ears should be BURNING because everyone is talking about your incredible photos that you took at the wedding. They really are awesome. Thanks, so much." "You are amazing! How did you take so many pictures? I did not even see you . Thank you for all you have done. Because of you, we will remember this day forever. We are so happy we went with you. Thank you SO much." "When Art (our designer) was doing the layout for our magazine cover he kept complimenting you. He said he wished all our photographers were as professional as you. You gave him exactly what he needed and in all the correct layouts, etc. He went on and on for 3-4 days about how great it was to work with your photography. You really did a fantastic job. The magazine has only been on the streets for a day and we're already getting some very positive feedback." "omigod! There are some awesome photos in there! I do not remember you guys circling us like the whirring dervishes you must have been! ...I just wanted to say WOW. I want to sincerely say what a pleasure it was to have you guys as our wedding photographers! We both felt like you were are friends joining our wedding and not just a paid vendor. Of all the decisions we made and all the things we had planned, we feel like you guys were the best of them all. ...everything with you guys was better than expected. As much as I agonized over the photography expenditure in the beginning, I now feel like it was completely worth it... All my guests and family were impressed with you both; they have had nothing but compliments... Overall, your professionalism and humor and compatibility was superb. We would feel privileged to provide our recommendation or reference, should you ever have the need." "Dear Dan and Dean, Thank you so much for the incredible job you did photographing our wedding. You two are an amazing team and more than one person commented how they've never seen photographers having so much fun and being everywhere. The pictures are perfect and there are so many! 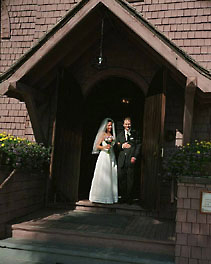 We're thrilled we chose you to record our special day because no one could have done it so well and artfully. We are looking forward to seeing our album and thank you again for all of your beautiful hard work." "Thanks for the beautiful pictures, Everybody has been remarking on them. I am just so excited every time I see them!" "You are brilliant! I am so thrilled you were our wedding photographer. You are an amazing person and such a talented artist. You did take the pain out of planning and implementing our pictures. I will always refer you to anyone in need of a custom, easy going yet professional photographer. You have such an amazing eye for creativity and I appreciate your hard work. The pictures you took are beautiful and priceless." "The pictures online are AMAZING! We love them and couldn't be happier!" Topic: Dan Harris Photoart was wonderful!!! 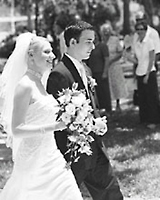 From: jaxverabride Date: 3/25/2004 at 8:57 pm "If you are looking for a photographer, I recommend Dan Harris. He did an amazing job, and is so easy to work with. Our pictures came out better than I ever would have dreamed." "Dan is so easy to work with. The pictures were so great I ended up doubling the the size of my album, and my husband and I have already decided that at long as he is in jax he will be our family photographer. I can't say enough about Dan, except it is more like having a friend that is in photography, than hiring some stranger. He was awesome!" "I want to thank you for doing such an amazing job at our wedding! I don't think there is a moment you didn't capture, and there are so many pictures I still don't think I've seen them all. We had so many people comment on how you seemed to be every where that night, and they've never seen a photographer cover every moment the way you were able to. The pictures are incredible, and I couldn't have asked for more! I thank you again, and look forward to designing our wedding album with you!" "I highly recommend Dan Harris for your photographer as I used him for my wedding 4 months ago. He has a laid back personality and kind spirit about him that really made it easy and fun for us to work with. Our family and friends and my husband and I were thrilled with the pictures, he captured every special moment. I loved the ability to see our pictures online so soon after the wedding. You would be missing out if you didn't meet with him and see for yourself. If you haven't already, check out his website." "I just got back from St. Lucia on my honeymoon, and viewed the photos. They are the BEST PHOTOS I've EVER SEEN!!!!! They are as good as I hoped they would be. Sonny just said he wished we could've taken you on our honeymoon!!!!! Thank you so much!" "Oh, Dan! I haven't even got thorough half of the pictures. (I'm on my way to church) but what I've seen, I am so pleased! We will be so glad we hired you! Thank you, thank you, thank you." "Thank you Dan for getting our wedding pictures online! They're absolutely wonderful!!! We've been looking at them from Argentina (on our honeymoon), and our friends are all totally impressed! Thank you. I can't tell you how pleased we are with the photo's, they're absolutely beautiful. Thank you!" "Thanks so much for the great pictures you took! We can't thank you enough for the work you did. I believe the best decision I made in our wedding plans was hiring you as the photographer." As posted on an internet chat board for brides-to-be: "Need a great photographer? -I found the best! Hey Brides! -look no further - DAN HARRIS is your new man, photo man that is / please see my wonderful pics - go to www.greatweddingphotography.com click view an event, highlight my name (Basinger/Kester) and enter password 071203 ...see my crazy engagement pics! Not only is DAN a great photographer, he is kind, spontaneous and organized. I would not have survived my wedding day without his help. Need any advice... let me know - my wedding was perfect!!!!" "I still look at my pics all the time and just love them. My sister just got married (she wanted you, but the wedding was in Wisconsin and you were already booked), and after seeing her photographer work, it makes me appreciate how wonderful you were even more! I can't tell you enough how happy I am with your services! You were a pleasure to work with on the wedding day and the pictures couldn't have turned out better... Thanks again." "Just wanted you to know that we think the photos are spectacular! I also wanted to let you know how impressed my family and friends are that you and your partner were so unobtrusive. We barely noticed you the evening of the wedding, yet you managed to capture the significant moments that tell the whole story! Thank you for your expertise and your professionalism." "Dan, What can I say!! I knew I had picked the right photographer! After I hired you, I never worried about the wedding photos, I knew I was going to get what I wanted. I love the pictures you and Dean took. I cannot say enough about how wonderful your work is. The pictures are beautiful and artistic. You had ideas that I would never have thought of in a million years. Getting an album together is going to be hard but fun at the same time because of all the great photos. I love the signature photo. Using the stairs was the best idea and its unique compared to everyone elses that I have seen. I have gotten many, many compliments on your pictures already from our guests ...Seeing your pictures for the first time when we got back from the honeymoon made me a little emotional because you captured what we wanted on film and you are telling our "Wedding Story". I can see our wedding whenever I want to. Thank you for that. I just want to let you know that Brian and I enjoyed working with you a lot. I love your sense of humor and you are easy to work with and VERY professional. Our guests were commenting on your professionalism too. It was a pleasure having you as our photographer." "Oh Dan, you have outdone yourself! These (the photos on the website) are amazing!!! It reminds me of how much fun we had and how perfect the day was. I especially love the black and whites by the water, very Kennedyesque and the sunset pictures. I can't wait to see the real thing and put the album together. I'm so excited. Thank you for making our day so special!!!!" 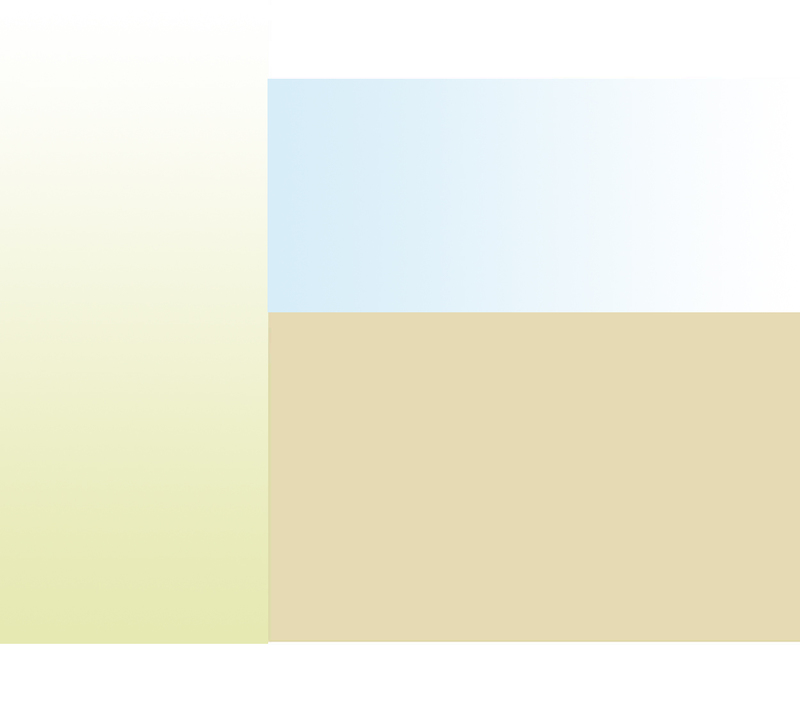 "I looked at your website, and I really like your style. I was also impressed with the detailed explanation of everything any bride would want to know about photographers; it seems you are not only a great photographer but a plain old nice guy who cares about his (potential) clients and their needs. I appreciate that." "I am SOOOO thrilled with the pictures! They look great!!! You really did a wonderful job." "My family and I love the pictures! Thanks so much for doing such a superb job. We'll no doubt enjoy these for many years to come. You were great to have the proofs developed and ready so quickly in order for us to have them before we departed our beach trip... thanks a million!" "The pictures look so beautiful and I can't thank you enough. 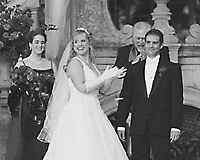 I appreciate your professionalism on my wedding day -- Everything was so perfect!" "Everything was so beautiful and we are so pleased with the pictures. I'm so excited. ...The pictures are wonderful! Thanks." "Just got in from Italy this morning. Hansen and I spent the better part of this afternoon looking at all the photos posted on your website and wanted to tell you that we both loved them, even with our rather disparate sense of aesthetics. (grin) Thank you for doing such a wonderful job!" "The pictures look fantastic! Thank you so much again. You and your assistant were awesome!" "WOW! I just spent hours online looking at all the proofs from my son's wedding. I am very impressed. There are so many that I love! ...the one that stands out in my mind right now is the photo of Charlie helping Marnie up from the kneeling bench after communion. That one is really a winner as it shows her love...for Charlie. Now I must decide which photos I cannot live without. Again, thanks and appreciation for your wonderful work!" "Thank you! Thank you! Thank you! My photos arrived today and I must say that you are a fantastic photographer and you do awesome work! Thank you so much!" "If you need a reference or want to share our album with someone, let me know. We are telling everyone to use you. You were very easy to work with and the photos are exceptional. We really like your working demeanor as you are very approachable and helped make our event enjoyable. Thanks for everything." "Dan and Dean, Thank you so much for all your hard work and patience. The pictures online came out beautifully. You guys were wonderful!" "I just wanted to say thanks for everything. 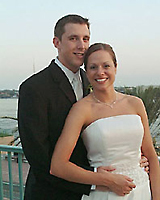 You were very professional and great to work with on our wedding day." "The pictures look amazing! I am getting calls from all my friends because they are having a hard time picking which pictures to buy! Thanks again"! "You did a wonderful job on Amy's bridal portrait - I am so happy that Tina referred us to you! You took so many GREAT pictures, we are having a hard time choosing the ones for the album . . . I have been raving to everyone about you!" "You did a wonderful job and were great to work with!" "The photos look GREAT! Thanks so much once again for your GREAT work!" "The pictures are fabulous!! Thank you so much for such FANTASTIC work!" "Thank you so much for making our wedding day such a success. Even in the rain, you were a trooper!" "Thank you so much for the beautiful photos and albums! You really helped to make our wedding an event that we'll never forget!" "We just love our (view an event) website! Our out-of-town guests really enjoy looking at ALL the photographs!" "Thank you for doing such a professional job at Samantha's Bat Mitzvah - -the whole process was totally painless!" "I thank you so much for the wonderful work that you've done, you truly captured our day perfectly!!!" "I want to thank you for the album - it looks wonderful! It was a pleasure dealing with you"
"Thank you for the beautiful CD's... and all the beautiful pictures! I love them! We're really happy with our albums! People who weren't at the wedding get a real sense of being there after looking at the albums." "Thanks again Dan for doing a wonderful job at our wedding"
"Thank you for helping us on our Special Day. You were very professional and accommodating." "So many great pictures... we were almost more excited about our photographer than we were about our wedding!" "Your patience and understanding really helped to make our day pleasant." "Everyone just loves our enlarged engagement photo, you do great work!" "You can tell photography is your passion, once again our family photos are fantastic!" "What great photography, you are a true professional!" "Thanks for making our special day memorable"
"As the years go by I really appreciate the great job you did at our wedding"